Ohio has consistently emerged as one of the most important battleground states in the country. In the lead up to 2018 and as we approach the 2020 presidential election Emgage has extended its efforts to Ohio. 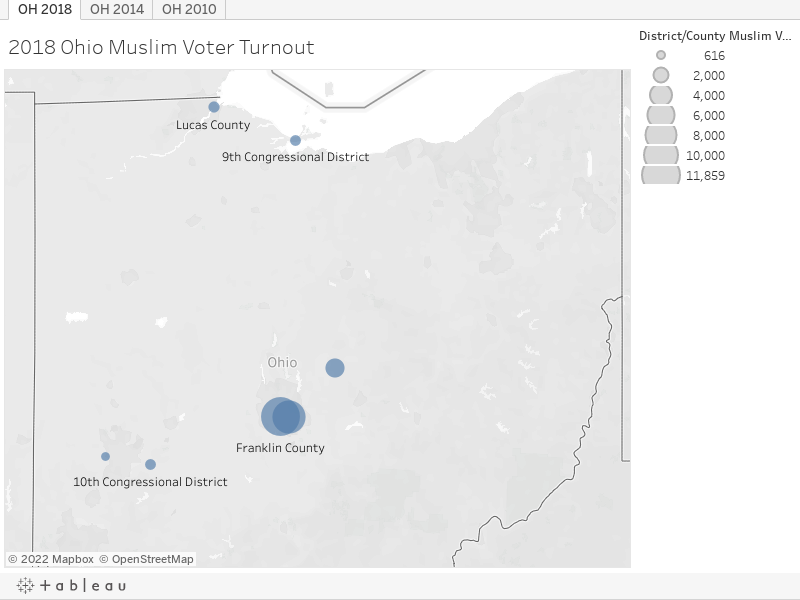 Our work in this state has seen some of the most significant growth midterm to midterm, with Ohio producing a 28-point increase in state wide Muslim voter turnout from 2014 to 2018 with 48% of Ohio Muslims voting on November 6. Franklin County alone represents more than half of the Muslim voter turnout across the state.